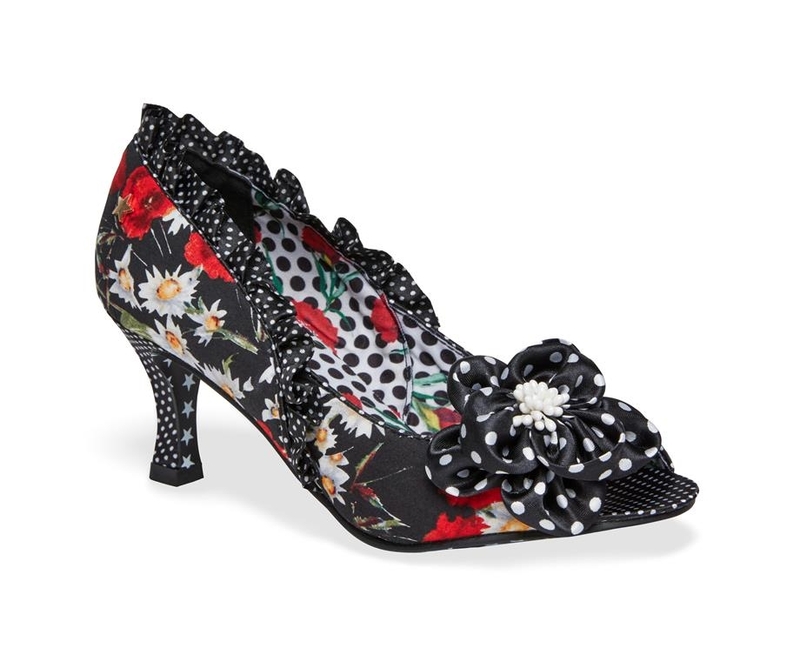 The Natalia peep toe court sandal for ladies by Joe Browns. These peep toe sandals have an abundance of character with their quirky floral upper in satin that is accented by polka dot frill detailing. 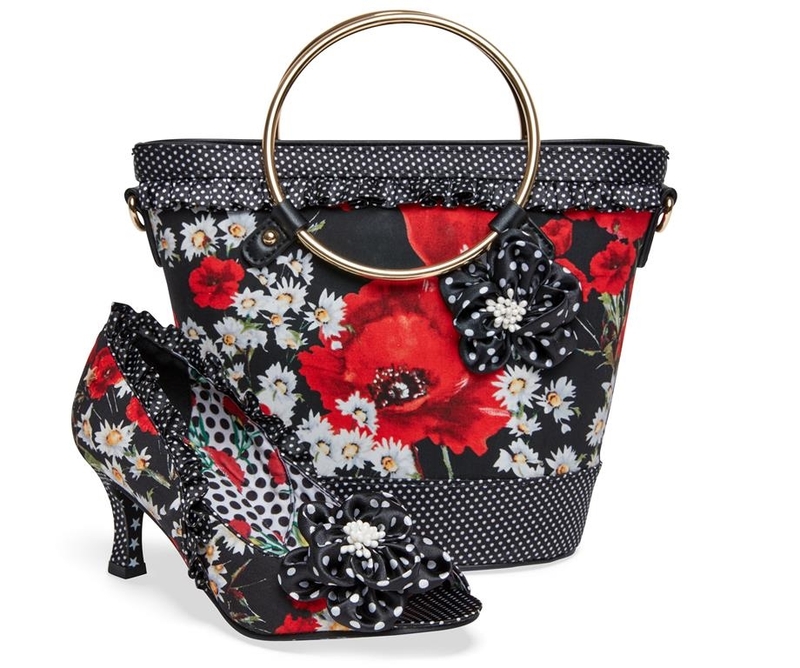 The peep toe sandal also features a floral polka dot corsage on the upper with pearl detailing alongside an inner lining that continues the floral pattern from the upper. The shoe is finally finished with chunky polka dot heel and starry undersole that can be seen with every step from behind.